Shared celebrations can be a powerful way of creating community. Existing celebrations, such as the St. Patrick’s Day Parade, can be enhanced but new types of celebrations can also be created. These new celebrations can be very local with just a single street, townland, housing estate, school, parish or suburb coming together. 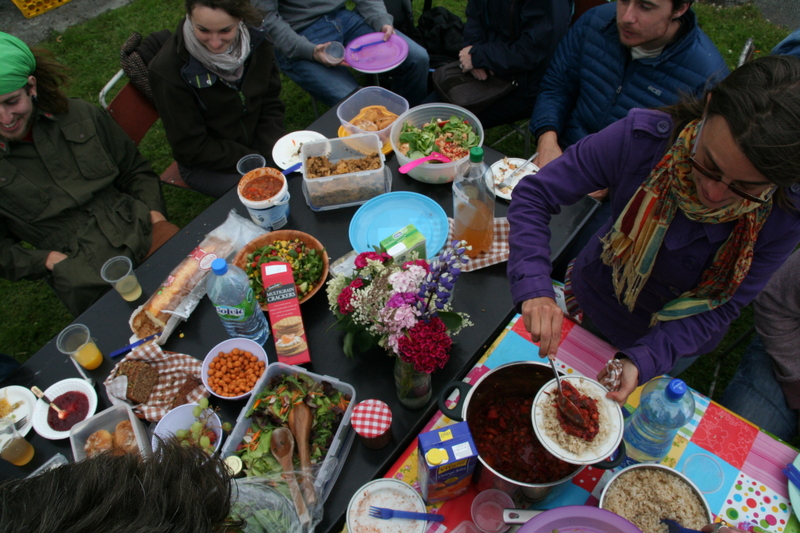 Examples of smaller scale celebrations include Street Feast, which is a communal meal in a local place with as much of the food as possible coming from local sources. A Street Feast can be held outdoors (on a street, in a park, etc.) or inside (in a local community centre, sports club, etc.). Celebrations can be varied in scale (small scale or city-wide). They could be about a traditional aspect of a place (such as the history of sailing boats in the Claddagh) or they could also be about a newer aspect of a place (such as the music or dance of a new immigrant community). Such celebrations should be sustainable and some could have environmental themes, such as harvest celebrations (apple trees, nuts, etc. ), summer solstice or winter solstice, the Galway swans, Earth Day (22nd April), etc.